Traveling through Russia for westerners can be challenging for the simple fact that there is a language barrier and also because business practices and the standard procedures of life are often very different. There are two types of tickets in Russia: paper tickets and e-tickets. E-tickets are used on most domestic routes while paper tickets are still in use for international routes bound to or out of Russia. Tip: Our first tip is to buy tickets in advance. No questions asked. We suggest 2 to 3 months in advance as availability is subject to change, especially for luxury overnight trains, all Sapsan trains and all trains in the summer high season. There are two ways you can purchase tickets for Russian trains: in person at the railway station or online. The most convenient way is to book your tickets online. All Russian trains are run by the state monopoly Russian Railways (eng.rzd.ru) and now you can book tickets online on their website. This state enterprise is developing fast, but it is still far from the western standards of customer service and efficiency. So in case this is your first trip to Russia or in case you don’t have any local support (friends or family members) we recommend booking through online agencies that provide comprehensive customer service in English and other languages as well as assistance with visas, transfers and hotels (ex: www.russiantrains.com). Of course, you'll pay a bit extra for these services but those who can afford it indicate it’s well worth it, primarily because it eliminates the majority of stressors making for a carefree journey. All you'll need to do is to go to a train station or a ticket office, queue up and don’t forget to take your passport. Be prepared that most sales clerks at train stations don't speak English. Commercial ticket offices smooth the process for foreigners but they charge about a €5 – €20 mark-up for their services. Important: The ticket will be printed with your name so you can't resell or exchange it with another person. 1st “Spalny Vagon” A 2-bed compartment is also available; it maximizes space and is designed for sleeping rather than walking about. More private amenities as well, e.g. sink, small closet, larger table. High-Speed trains have two classes - 1st and 2nd. First class includes leather seats, radio headphones, complimentary newspapers and magazines in English, and a lounge meeting room. Both include spacious seating with complimentary drinks and snacks and a bit of extra legroom for 1st class. Aboard the Allegro train Wi-Fi is free for all passengers while the Sapsan train offers it only in 1st class coaches. Important: We recommend to book first or second-class compartments. They ensure a higher level of privacy and better service. If there’s 2 or 3 of you traveling you can book the whole 2nd class compartment and have it to yourself for the entire journey. You'll likely enjoy some vodka on board with your new Russian friends and we recommend packing boiled eggs and food for sandwiches or other suitable foods that are convenient to pack, but we recommend experiencing the dining car on every train. They are decorated with traditional Russian furnishing, are very romantic and worth experiencing once. You can also buy homemade and relatively cheap Russian food at the cities you stop in along your journey. When it comes to safety Russian trains are some of the safest in the world. A conductor checks the passport of every person who boards and watches passengers like a KGB agent. Each train also has police onboard. You are really entering a well-equipped community and culture when you step into the Russian Railways network. However, there are no lockers so use common sense – if you leave items out in the open they could easily be swiped. Also pay extra care when stopped and people are entering and exiting the train. Trans-sib is a special kind of travel. When taking a Moscow - Beijing route your journey spans 3 countries, so it is recommended to use a travel company, who can secure your tickets with major railroads before they even go on sale. The advantage of buying tickets through an online travel company ensures you will get the tickets you want for the dates you desire before they sell out and you won’t have to deal with the language barrier that faces you when buying in person. Also, with English language support shrinking as you move farther east from Moscow, an online travel agency can arrange at least hotels and transfers to ensure problem-free travel in the key areas of your journey. If you wish, you can even purchase an all-inclusive program in which the whole trip is organized for you, from hotels to transfers, tours, meals and sightseeing, which can be a pleasure to many travelers as there are so many pieces to this journey. For example, simply choosing which cities to see along the way can leave some travelers confused and we recommend breaking up your journey and visiting ancient cultural hotspots along the way rather than spending the whole 7 days on a train. In short, purchase tickets well in advance, 2 to 3 months if you can. You can buy tickets in person when you arrive but due to tickets selling quickly and language barriers in Russia using an online travel agency is recommended. Second class is the best deal for privacy, but 3rd class ensures plenty of socializing. And don't worry about safety; however, use typical common sense with your belongings as you would in any other public space. 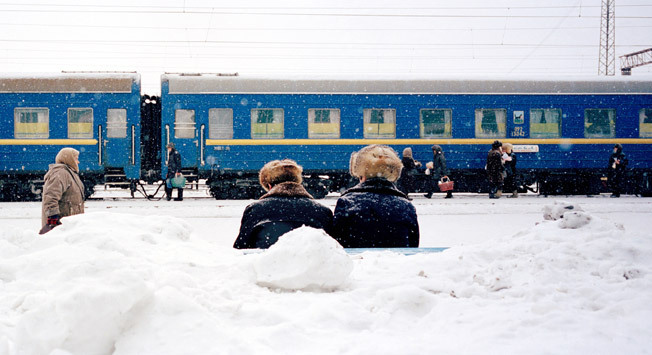 The Trans-Siberian Railway is one of the most diverse travel adventures in the world. Maximize your time of travel, and instead of spending 7 days on train plan frequent stops in main cities along the way, such as Kazan, Ekaterinburg, Novosibirsk, Krasnoyarsk, Baikal, and many others. Enter this other world of culture and experiences. And try to relax. With these tips in mind you should be able to experience that life-changing trip you’ve dreamt of. About the author: Ivan Shirokov is a Russian native and a chief destination expert atTravel All Russia, a destination management company specializing in Russia.